The cake was easy to make and the decoration wasn't difficult. 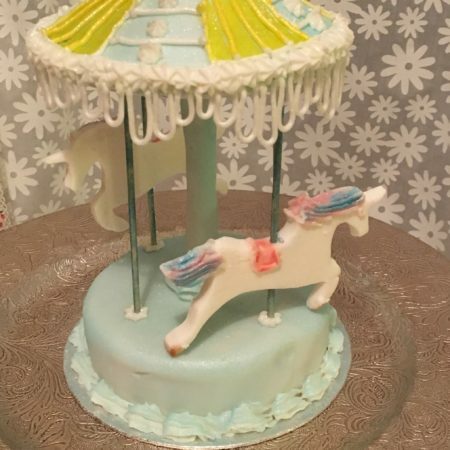 Don't underestimate the weight of the cake and fondant placed as the top part of the merry-go-round. A large plastic straw in the centre is a good start with wooden skewers coloured with food dye to support the outer section. Make sure your merry-go-round horses are thick enough to take the wooden skewers otherwise they will break in half when stood up.